Roberta Rehner is a singer, soloist, and vocalist for hire as well as a private vocal and piano teacher. She is experienced in performing cabaret shows singing Broadway, Jazz, and Pop. A coloratura soprano, female soloist who sings sacred and classical arts songs and arias. 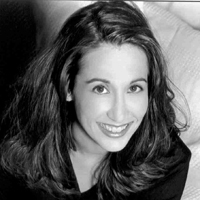 Roberta Rehner is available as a wedding singer, cantor, cabaret performer, and musical entertainer. She also performs at memorials, graduations, galas, concerts, theaters, assisted living facilities, and private parties etc. To learn more about Roberta Rehner, please read her Biography or contact her for more details at 561/379-6321. Roberta also teaches private voice (Bel-Canto) and piano lessons to children and adults since 2007 out of her home studio, as well as, Music Man,Inc. in West Palm Beach and Absolute Music Studios. in Jupiter, FL. For more details or to inquire about availablity or rates, please contact Roberta Rehner.